Hello dear ones...I am running this week from one thing to another but do not want to forget you all! I Hope you are getting inspired to keep working on your projects and never stop doing what you love doing. If you received a talent put it to good use and especially to bring heavenly blessing to others. A friend shared a thought today with me: "What you have is either an idol or a tool, use what you have for good" (or something like that:). I desire to use my talent to bring glory (beauty) to the King of kings and embellish my world with His presence, which is abundance of joy. One of my mottos in life: Dream BIG, Train HARD, Trust GOD! 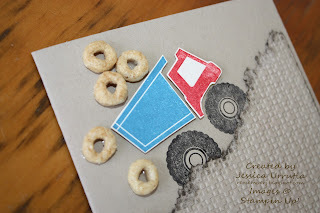 Here I used the wonderful Simply Scored tool to make the different scored lines with our Stampin' Up Diagonal Plate. I used the Apothecary Labels framelits and a square of dsp behind it to make the top layers. Sentiment comes from Loving thoughts (gotta love this font), and I just could NOT use only one pearl. :-) Hope you like it! 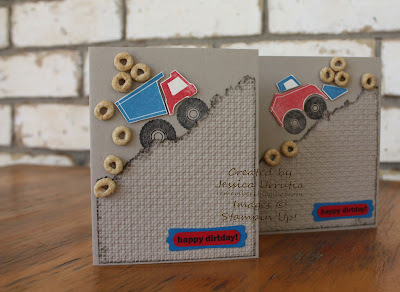 A cute birthday card for a two little boys I love on their birthday. Got this idea from another demonstrator. 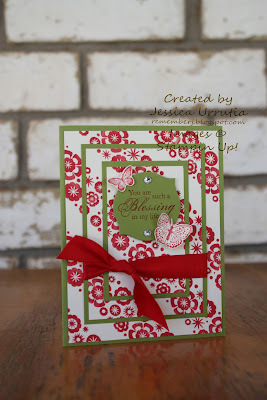 Her name is LeAnne Pugliese, I found her sample at Stampin Connection some time ago. HERE is the link to her sample. She used buttons, I decided to use cheerios. Thanks Cricket for letting me borrow your fun stamp set! Love you friend! This is all for today folks, having Club tomorrow Friday so super productive right now. oh I love all three cards! The card with the cheerios is just too cute. 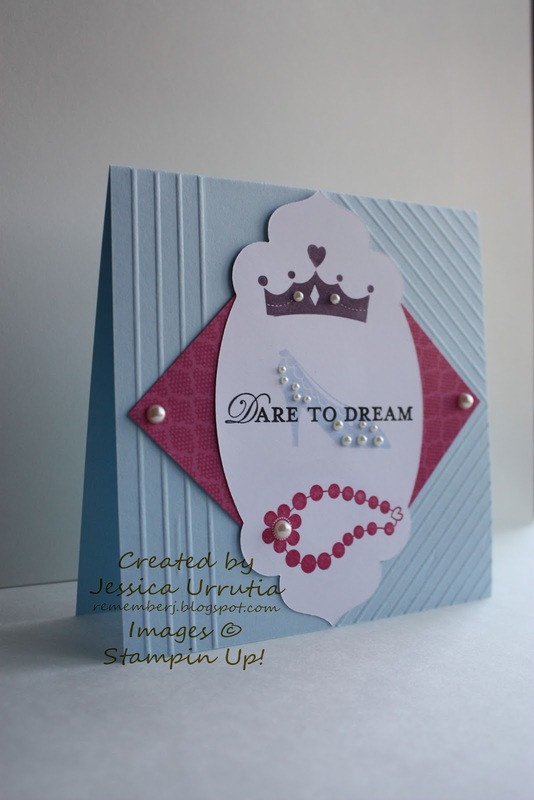 And the "Dare to dream" card and your text is just so beautiful. That´s what I love about kids, they dream so much and have such an amazing imagination - that´s what we adults seem to loose.